StoryPoint was created to let you tell stories aboutlocation-tagged pictures!Take pictures with your phone (even whileoffline), and say a few words about each. 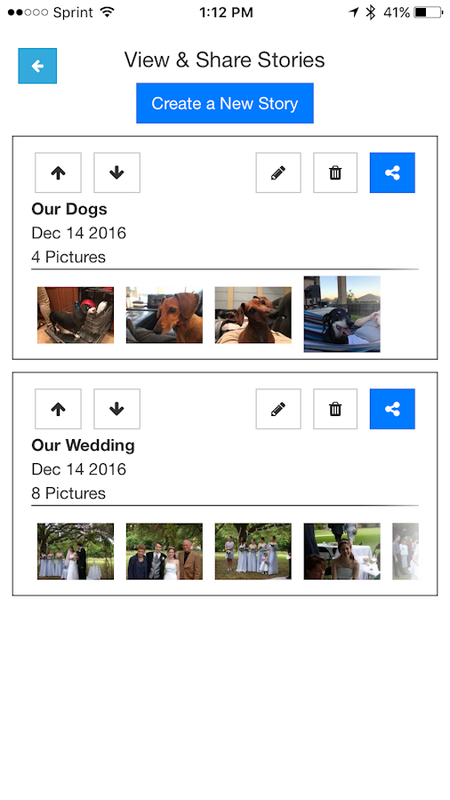 Later, combine thesephotos into a story to detail your adventures or tell a story aboutthe sequence of photos, and share them with your contacts. As ofversion 3.0, StoryPoint is totally free for unlimited stories andpictures!StoryPoint is powered by myObservatory, the collaborativedata environment. myObservatory is the collaborative platform for your dataecosystem.Curate data collected in the field alongsideenvironmental data from third party sources. Collaborate and shareyour newfound knowledge. myObservatory is your dependable resourceto gain insight and achieve better results.The myObservatory Mobileapplication will allow you to take GPS-tagged photos along withnotes in the field, and upload them directly into yourmyObservatory account fluidly and easily, where you can furtheranalyze trends or store archival data. The application featuresoffline capability, to allow you to quickly take lots of photos inthe field away from internet access, and synchronize when back inWiFi range. Sampling campaigns planned using the desktop web sitecan be sampled using the guided and intuitive Sampling Campaigntool, and favorite graphs saved on the desktop can be viewed onmobile (including dynamic date ranges like Last Month), making aneffective mobile viewer for data stations being fed by live sensorfeeds. ■ What kind of app is it? This app allows you to check where yourpartners are and their moving path immediately (Smartphone of yoursand others, the both must to an Android smartphone) ■ Totally Free- It is totally free - No paying option ■ Easy operation -Easy-to-use interface - Easy Sharing Setup that you only needto enter numbers - Minimum numbers of setting requirements ■ Feelsafe by checking the big picture of the movement of a day, thelatest position and the battery level. - Display the moving pathand the latest position of smartphone on map. - Markers show whereyou were. It's simple and easy to understand. - Display the traveldistance and the remaining battery level of each day in a graph. ■Energy-saving design - Stationary detection (extend the positioningIf it's not moved for a while) - Vibration detection (Stoppositioning if it's on a desk) - Indoor detection (Stop positioningif there's no GPS radio wave) ■ Information handling - All positioninformation will be encrypted with SSL/TLS to send to the server -All position information that has been sent to the server will bedeleted unconditionally after 3 days - Position information willnot be used for the purposes other than the intended use(positioning data sharing with your partners) of this app ■ Q &A Q, How many people can I share my data (to notify my position)?A, Up to five people. Q, How many people can I follow (to receivethe positioning data)? A, Up to five people. Q, No need to measureyour own positions A, If you turn off "Measure the positions withthis smartphone", then positioning data won't be measured neithersent to the server. Q, What will happen when you use moresmartphones (for one account)? A, Positions of each smartphoneswill be displayed separately. Q, What happens when there's nointernet connection? A, It keep measuring positions offline. Whenthe network connection recovered, then it send the data all atonce. iSharing GPS Tracker app lets your family be in touch and stayconnected with your friends anytime. Family Locator provides arealtime location tracking service allowing families and closefriends to privately share their location information andcommunicate with each other. Our gps tracker helps parents andcaregivers reduce anxiety around the whereabouts of their lovedones with easy tracking and alerting messages. With iSharing GPSTracker you can: • View the realtime location of Family members andclose friends on a private family map that’s only visible on FamilyLocator • Receive realtime alerts when a friend or kids arrive ator leave destinations - Best way to protect your kids and keep yourkids safe! • Receive automatic notifications when a friend isnearby - Find my Friends! (Eliminate disruptive Where are you?texts) • GPS Location tracker for stolen phones or lost phones •Shake your phone to send the Panic Alert in an emergency situation.• Turn your phone or tablet into a walkie talkie with iSharing andenjoy FREE voice messages • See the history of your loved ones'whereabouts GPS Tracker of parents and kids: For time-sensitivecommunication, GPS locator can quickly pinpoint the location ofevery family member. iSharing is a location sharing platform forpeace of mind. The best family locator App for loved ones: Thishandy, easy-to-use app leverages the latest technology to help youstay connected in realtime to the people (and the devices) thatmatter most. Parents can easily find their kids anytime. iSharingGPS tracker app uses GPS coordinates and state-of-the-art GPSlocation data to report the realtime whereabouts of your friendsand family. Simply install the iSharing locator app on your phoneand your families’ phones. Once registered, each friends appears asa unique icon on the GPS tracking navigational map so you’ll knowexactly where each family members is, at all times. No need to sendannoying Where are your? or What’s your ETA? texts, the iSharingapp puts this information at your fingertips. And to make lifesuper easy, we send you realtime GPS alerts the moment your friendsor kids arrive at the appointed location! iSharing is a realtimemobile phone GPS Location tracking system. the family locator appcan pinpoint the location of registered mobile devices, and smartphones. in addition to this we lets you locate Android Phones,iPhones and iPad. Its easy to use. All you have to do is inviteyour family members or friends and you can start tracking them onyour Phone to track any smart phone. Best kids locator for parents:iSharing GPS Tracker help parents and caregivers reduce anxietyaround the whereabouts of their loved ones with easy tracking andalerting messages. * iSharing app should be used under theagreement and consent of the other. Welcome to Greenalp. With this app you can essentially do twothings: 1.) Show your own location live on Google Maps. This wayyour family and friends always know where you are and that you aresafe. 2.) See the location of your friends and family members rightin the app. Just ask them to install this app. New: Try also ourweb service. Works right in the browser (also with iPhone):http://greenalp.com/meet Additionally this app provides tons ofextra features (geofence, track and trace, etc.) which is why it isone of the most popular real-time gps trackers for Android. Pleasehave a look at the feature list below. Important for batterysaving: By default this app is configured for high frequencytracking and high accuracy, which needs quite much battery. If youwould like to save battery it's strongly recommended to run thebattery wizard. For extreme power saving, use the remote control torun the tracker on-demand only. Examples this GPS Tracker can beused for: • Show your outdoor trip live to your family &friends. They can track you in real-time while your are running,hiking, biking, paragliding, or just traveling by train or car. •Track your family & friends. Ask them to install this GPSTracker and you can track each other in real-time. • Geo-fencing:Receive automatic notifications when a tracked users enters orleaves an area specified by you (geofence). • Latitude replacement:The default configuration needs more battery. If you want to savebattery just increase the update interval or use cell towerlocations instead of GPS. Support is available in the forum. •Embed your map into your website or blog. • Track your dog: Whybuying expensive pet trackers? Use a cheap Android phone and put iton your dog. You can see your dog's location on the map inreal-time. • Track and Trace: Provide a live tracking service foryour customers. Useful for leaflet and other companies (pizzadelivery, etc). • Educational: Students use this tracker to tracktheir weather balloons. New features provided by RTT2: • Brand newGoogle Maps version (Google v2) • New base map: Google Terrain •Offline maps • Multi map mode. Add more than one map on the samescreen. Perfect for auto-following more than one user at the sametime. • Improved user interface navigation • Improved messaginguser interface • Auto-read incoming messages Other supportedfeatures: • Details like speed, elevation, battery level, etc. Justclick the icons on the map. • Send messages to your friends or tothe viewers on the website. • Google Maps and OpenStreetMap (Onlineand Offline maps). • Map integration into your private homepage. •Supports autostart. • Supports remote start via text message (SMS)or just via the web portal http://www.greenalp.com . Great forbattery saving. • Supports various remote commands you can send viaweb portal. Ideal for tracking your children or your pets. •Supports up to two KML layers. • Supports control via locationaware apps (as for example Llama or Tasker) • Ad-free versionpossible. Choose "1-year ad-free" in the menu. Because of thosemany features this GPS Tracker requires several permissions. If youwould like to know why it needs these permissions please read theGreenalp Privacy Statement:http://www.greenalp.com/RealTimeTracker/index.php?page=privacy Youare not allowed to use this GPS Tracker for illegal activities.Don't track people without their agreement! If the tracker isrunning it will always show an icon in the status bar. Please don'tsend requests to hide the icon. The icon will stay visible forsecurity reasons. In case of problems please send an email toGreenalp Support or use the forum. You will receive great supportthere. If you like this application it would be great if you couldsend a positive rating. Thanks. 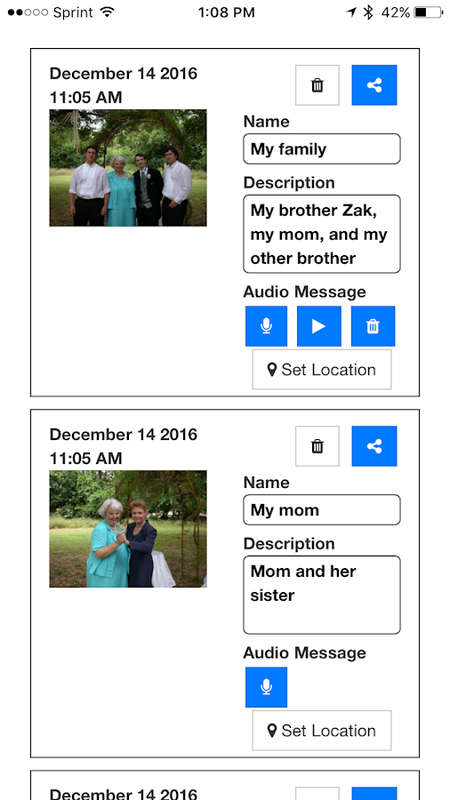 A family locator and multi-purpose helper for any device! "MyFamily" is the easiest and most accurate way to locate everyone inyour family in real time. It's a whole-family service app with awide range of functionality for every family.SECURE! The app isentirely secure: we have no registration and never use yourpersonal data. We don't store any chat history, locationinformation, or anything else about your family! All data is storedonly on user devices. Our servers only transmit data betweendevices. With "My Family", you can be sure that all the informationabout your family and your children is safe and secure.MY FAMILYLOCATOR allows you to:- DETERMINE THE LOCATIONS OF ALL FAMILYMEMBERS IN REAL TIME. It's up to you whether and when your familycan see your location.- TURN ON KID MODE on your child’s phone.Your child won't be able to turn off location services or changethe app's settings. With Premium mode, you can SEE and HEAR what'sgoing on around your child any time!- VIEW MOVEMENT HISTORIES forany of your family members on the map using the Tracking function.Movement history is stored on your devices for three years!- CREATEPLACES and receive a notification when a family member arrives ator leaves a place. You will no longer have to worry about whetheryour child made it to school or whether Grandma made it home.-CUSTOMIZABLE! Select from 15 colour themes! - HAVE A FAMILY CHAT.Your family will always be there to talk.Join our Premium users anddiscover the additional features of the app with My FamilyPremium!In MyFamily Premium you will be able to:- Make the forcedsnapshot and video from the device with Kid mode (front or backcamera). Unfortunately, for iOS devices this feature will work onlywhen the app is open.- Get directions to each person by foot or bycar!- Hide your location from family members individually if youlike.Also, MyFamily Premium includes:- Increased call time for KidMode calls.- Unlimited family members. - Unlimited locationalerts.Why choose "My Family"?- The Family Locator lets you knowexactly where your children and elderly parents are, safe andsecure. No more anxiety! Keeping track of your kids has never beeneasier!- You decide for yourself when your family can see yourlocation. Adults can always make their locations invisible in theApp's settings (but Kids can't! ).- Your children will feel safer,knowing you are always close by.- You'll keep in closer touch withyour loved ones- View any family member's movement history for thepast three years!Please note that all features based on GPStechnology require a GPS-equipped smartphone and require GPS to beturned on in your phone settings. Of course My Family tracker canfind where you are using your cellular signal or network alone butthe GPS offers exact coordinates.The App conserves power, but aswith any app with GPS functionality, your battery life may beslightly diminished. This application informs you about the latitude, longitude of yourcurrent location. If internet connection is available, you can alsoget the address of your location. On enabling GPS it will give youthe most accurate location. 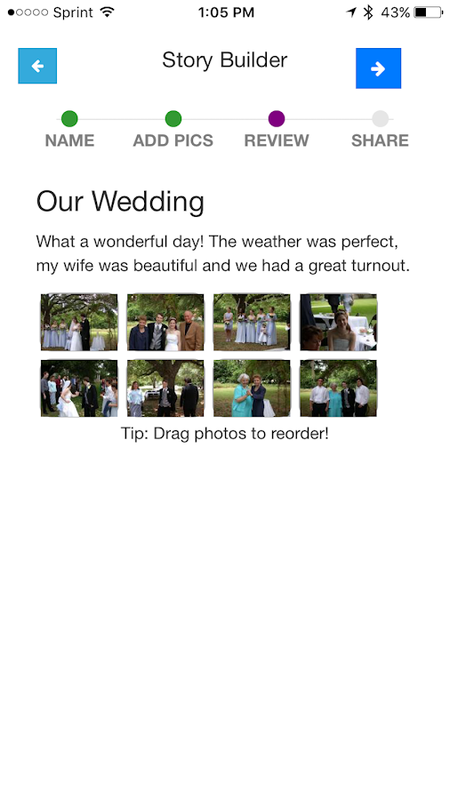 You can share the location via SMS,e-mail, Facebook, Google+, Skype, Twitter, and more. Forget youmobile phone some where don't worry. The application also provideswith the feature to share the location of your mobile via sendingkeyword on your mobile with the password. It will return a SMS backon the sender mobile with the current location of your phone.Parents can also use this application to check the location oftheir children. Even if they don’t have a smart phone, they canstill use MyLocation to get the location over sms. If they havesmartphone with MyLocation app installed, on receiving the locationvia sms. It will automatically open the location on the map. Manytime people put the address of their business property on theirwebsites but they don't provide the exact location. Thisapplication can also be used to obtain the accurate location ofyour business property. And same can also be used to put the linkon your business web site under locate us. I am using MyLocationApp to share My Location are you? To allow this application to workproperly. Please set messaging as your default application forreceiving sms, not the hangout. Disclaimer: If your dear ones aresending sms on your phone to get your location with password youwill be charged for sms service for sharing your location. Life360’s Family Locator simplifies life in the digital world bymaking it easy to stay connected to the people who matter most.With Life360 you can: • Create your own private groups, called“Circles,” of loved ones, teammates -- whoever matters most andchat with them in Family Locator for FREE. • View the real-timelocation of Circle Members on a private family map that’s onlyvisible to your Circle. • Receive real-time alerts when CircleMembers arrive at or leave destinations (Eliminate disruptive“Where are you?” texts) • See the location of stolen or lost phones• Enjoy a more diverse array of features and benefits than thosefound on similar apps • Works on both Android Phones and iPhonesReal-Time Location Sharing Stay connected and in sync with yourentire family and eliminate the multiple texts needed to coordinateyour family events and daily life. Family Locator alerts you whenyour family members have checked in at a location and thanks to GPSsensors in your phone, family locator can also advise if someone isrunning late. Finding Family The Life360 app uses state-of-the-artGPS location technology to report the real-time whereabouts ofthose that have accepted your invitation to join your circle andshare their location. Simply install the Life360 Family Locator appon your phone, and invite your family. Once registered, each memberappears as a unique icon on the navigational map so you’ll knowexactly where they are. No need to send annoying “Where are your?”or “What’s your ETA?” texts, the Life360 Family Locator puts thisinformation at your fingertips. And to make life super easy, wesend you alerts the moment your family arrives at an appointedlocation! In order for our app to work properly, we need a fewpermissions. Don't worry - when you create an account, we help youthrough this quick and easy process. Location - Life360 locates youand your loved ones on a shared, private map. This setting allowsus to show location accurately and quickly. Phone permission -Life360 has a feature called Driver Care Support that, with asingle push of a button, connects you to a live representative overthe phone. Our live representative knows who you are and where youare to assist in roadside situations such as tows, jumps, andlockouts. We also offer an immediate emergency response in the caseof a vehicular collision. Phone permissions allow us to connectyour phone to the live representative and authenticate that you arethe one calling them. Network - This connects you to the Internetand allows us to send and receive location information to and fromfamily members on your private map. Essential Family GPS Tracker Family locator by Fameelee is anessential tool right in your pocket. It comes as an efficient cellphone locator to keep in touch with any of your family membersround the clock. This GPS tracker app is the best bet in case youwant to be aware of the location of every person that is dear toyou. If you think that you do not need our Family locator, yousimply do not know its key features and functions. What can aFamily locator do? Fameelee has a wide selection of great functionsand options. It may come as an effective Family finder whenever youneed to know the exact location of your kids coming from school.The set of beneficiary features includes: ✓ Use our Family phonetracker to from your own circle of trust. You will have a chance tocreate groups of family members, friends or colleagues, sendmessages to them and chat in groups; ✓ GPS tracker provides theexact location of every member in real time. You will have a chanceto track the location of every device within your personal circle;✓ Phone locator will send you real-time notifications whenever atracked device leaves or enters the restricted zone; ✓ Receive/sendpanic alarms with your gps location and video of your surrounding ✓Phone locator app will make it easier to find stolen of lostdevices; ✓ Enjoy battery-friendly gps tracker algorithm ✓ Getnotified if your children exceeded the speed limit that youconsider safe Phone Location Tracker Delivers Precise Real-TimeData You now have a chance to arrange your family or friendsmeetings with the help of our GPS tracker. Location tracker willnotify you of those who are late and members who have already callup at the necessary place. Use the Phone locator to enable anefficient and safe communication with every member of your familyor teammate. Built using the advanced Family search navigationsystem, our GPS mobile tracker will let you know where your kidsare at the moment even in case they do not respond. At the sametime, the application may appear to be an efficient tool wheneveryou are planning to hold a party with dozens of your friends. Themobile tracker was designed to store some of your prior locationsas well as monitor all guests who are about to arrive at the party.Intelligent Locate My Phone Technologies Easy-to-use and intuitivemobile tracker does not require any special skills. You will hardlyface any difficulties when using our application even if you arenew to the world of mobile apps. We provide a detailed tutorial onhow to use our app. You will get a full access to all tracking,monitoring and communication functions delivered by our handyFamily search application. Fameelee mobile tracker operates usingnavigation system and coordinates to define the precise location ofthe tracked device or devices. You will appreciate real-time alertsand notifications in addition to promptly delivered information onevery circle member’s location. The application is available to allusers in spite of their residence and area of living. All you needis to download the app and get an access to all its features onceit has been installed to your smartphone. Note: Don't forget tocheck if GPS location services are ON on your device as it's amandatory condition for your application to work properly. Fameeleeis battery -friendly gps phone tracker app and optimized for dailyuse, it may take up-to 5% of your battery life. Important: Theinstallation of phone tracker, without the consent of the personwhose personal gadget is being tracked, is considered a violation.Also continued use of GPS running in the background candramatically decrease battery life. So, what are you waiting for?Download Fameelee and start tracking your family and friends. SSSPL is Mobile base tracking system.